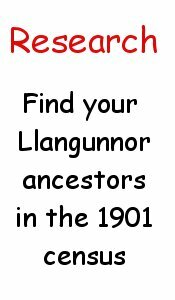 The original intention of Llangunnor Network was to record and preserve the history of Llangunnor and to make this information freely available and easy to access. Llangunnor Network also looks to promote local community groups and events again one of the founding principles would be that this would also be provided free. While orginally Llangunnor Network was only going to support local events and groups it was felt that a more hands on approach was needed and Llangunnor Network will be holding events in the community - following in the footsteps of organisations such as Cymdeithas Sant Cynnwr who for so many years organised events and created a fantastic sense of community in Llangunnor. Please note that the quiz night organised on the 30th September 2014 has been fully funded by Llangunnor Network and we intend to publish details regarding profit/loss and any money held over for future events. How is Llangunnor Network funded? Llangunnor Network is a private entity and as such is completely self funded, the costs involved with setting up and operating the web site are financed by the administrator. The administrator has no intention of using any money raised from events to pay for the ongoing running costs of the site. Llangunnor Network allows no commercial advertising on the site and has no intention of changing this policy in order to generate income.